FOODEDGE, a gourmet food products specialist, grew from a two-man team to 80 staff now. It needed a human resource system that would manage functions such as hiring, appraisals, wage increments and exit interviews. The company, which was incorporated in 2003, did not have a HR system at the start. "It was a kind of a family business; everybody knew everybody very well and everybody knew the needs of everybody else. It was easy," says chief executive Manmeet Singh. 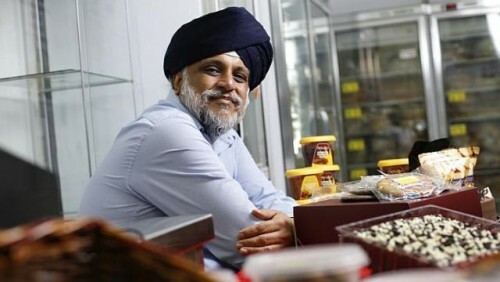 As business expanded, Foodedge began to look for solutions to its rising HR challenge and chanced upon Spring Singapore's Business Advisers Programme (BAP). BAP matches business advisers with SMEs seeking advice on various business and corporate development areas. It enables SMEs to draw on the advisers' experience, expertise and contacts, to improve their businesses and processes. Since 2009, over 400 BAP projects have been completed. These last up to six months, with specific deliverables, and Spring helps with the advisers' fees. Mr Singh said the process was easy. Following the application for help, Spring brought on board two specialists, and one of them was chosen for the project. This HR specialist was attached to Foodedge for six months to study its requirements. He then made recommendations; the next step was to implement them. The structured HR system was implemented last year and it enables Foodedge to perform essential HR functions, including recruitment, performance appraisal and leave management. Its employee handbook was translated into Chinese, and the specialist also gave guidance on interviewing job candidates. "They held our hand throughout the whole process. It was much better than hiring a consultant who would only provide recommendations and later walk away," says Mr Singh. The HR system allowed Foodedge to set performance goals for its staff and, as a result, it was able to better track performance and lay the groundwork for improvements, so as to achieve business objectives. It also led to better employee morale and talent retention. Says Mr Singh: "The system helps us to explain to staff the reasons for their increments and it also helps them understand that if they work hard, they will be rewarded."